Free delivery is now available! Blog Free delivery is now available! We know delivery can add to the cost of shopping online. So now to make life even easier for our customers we have added a FREE DELIVERY option to our cart, when you shop online with us at Selwood Equine. Maybe you feel like treating yourself? New breeches perhaps? Like the Tattini Ginestra or the Tattini Kenzia Platinum. Or maybe investing in a new show shirt like the Tattini techno stretch short sleeve shirt. All you have to do is add your chosen items into your shopping cart and free delivery kicks in once you spend over £100. It is as simple as that. Selwood Equine also have some great additional competition day items. Like the Tattini 100% waterproof lightweight jacket in sky blue. This is a great pack away jacket to have in the lorry or back of the car. Light enough to layer over your show jacket in the warm up and thin enough to store easily. Also ideal for riding and training when you are working hard. The jacket is both breathable and waterproof. Maybe you need some more work wear? Selwood Equine also have some great items for casual wear. Take the Tattini Tamigi bomber jacket. Ideal for day to day wear, especially when out on the yard. 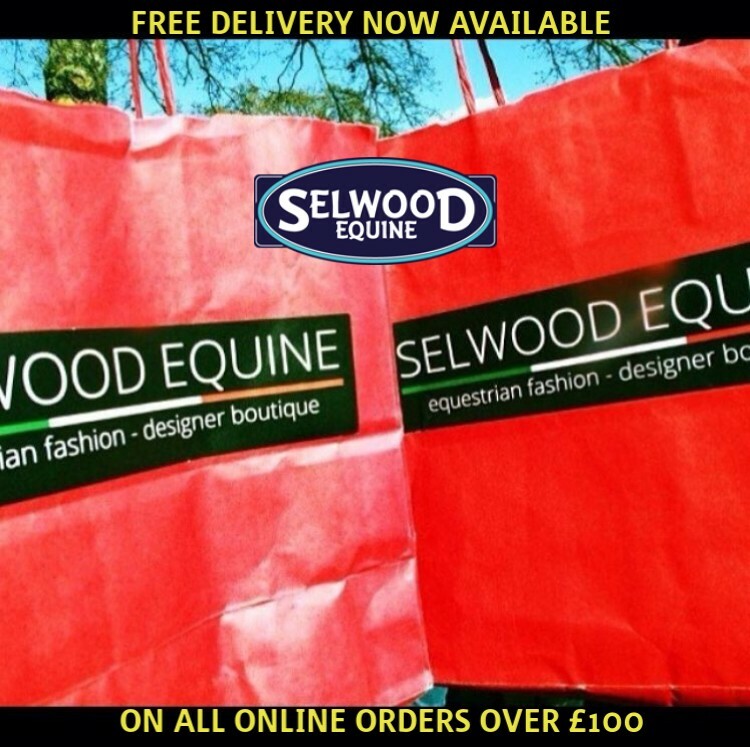 Make sure you take advantage of our free UK mainland delivery offer when you spend £100 or more online with Selwood Equine today! Remember, if your items are not quite the fit you had hoped for, we offer refunds within 14 days and exchanges within 30 days. Check our website for further details.